We DO NOT accept refunds. We only do exchanges, and each exchange has to of the equal value. You're required to pay the shipping rate to return the item(s), and we'll pay the shipping rates to ship back to you. 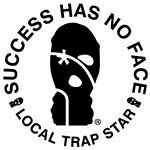 Local Trap Star LLC (“Company”) recognizes that its customers, visitors, users, members and others who use localtrapstars@gmail.com (“Website”) or other websites owned or operated by COMPANY (“COMPANY Services”) (collectively or individually “Users”) value their privacy. This Privacy Notice details important information regarding the use and disclosure of User information collected on COMPANY Services. COMPANY provides this Privacy Notice to help you make an informed decision about whether to use or continue using COMPANY Services.